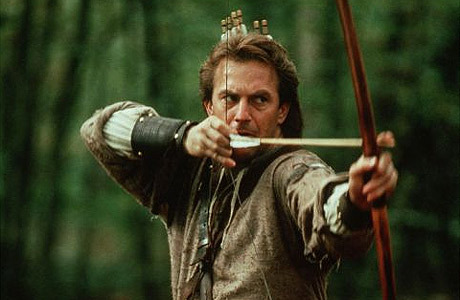 I grew up in England’s green and somewhat socialist land hearing stories and watching movies about one Robin Hood, who lived in Sherwood Forest and robbed from the despotic rich to give to the poor. When King Richard the Lionheart came home from the Crusades having either liberated or massacred everyone in the name of freedom (freedom to be a Christian), and forgave Robin, restoring him as a member of the English aristocracy and letting him marry the king’s niece. Trust me, the movies tell it much better. Oh Kevin - your aim if not your accent was true! 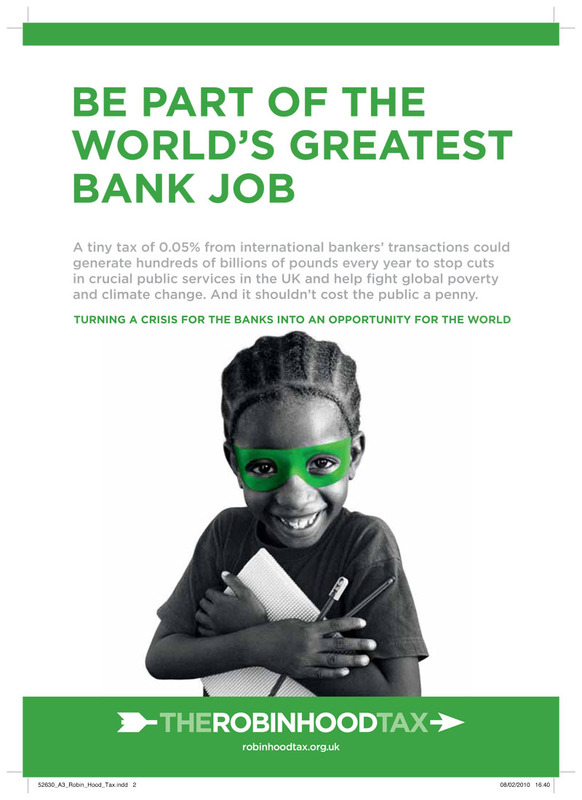 However, Robin of Loxley’s name is now being associated with a new tax idea: a seemingly insignificant levy on trades in the financial markets which would take money from the banks (the despotic rich) and give to the world’s poor. This would apparently be a tax on trades of stocks, bonds, and similar financial tools of investment. The reality is that most of this support stems from our anger and frustration at how the world economy collapsed without the rich taking a significant hit. Right now we would happily hang the bank and monetary institutions heads in the village square, or at least stick them in the stockades and throw rotten dividends and pink slips at them. Sir Robin (who was originally a member of the landed class – the top 1%) has attracted an exciting band of merry men (and women): the leaders of France and Germany, the billionaire philanthropists Bill Gates and George Soros, former Vice President Al Gore, the consumer activist Ralph Nader, Pope Benedict XVI and the Archbishop of Canterbury. Now personally I am suspicious that the Pope would associate with Robin Hood, given the latter’s allegiance to the Church of England, but perhaps the Pope is being more strategic than his predecessors. The Italian Prime Minister, Mario Monti, has jumped enthusiastically into the foray by announcing his plans to impose such a tax as one part of a broad plan to fix his country’s ailing economy. He further invited other European countries to endorse the initiative. Other European leaders seem are not so enthusiastic which seems a shame given that a number of analysts believe a broad agreement could create such a tax while keeping the financial markets (or rather those who are making tons of money from it) relatively calm. As the Occupy Wall Street movement seems to wind down, I believe this can be a rallying cry with a practical, measurable outcome. I have written previously about my desire for the Occupy movement to become more strategic (see here and here). 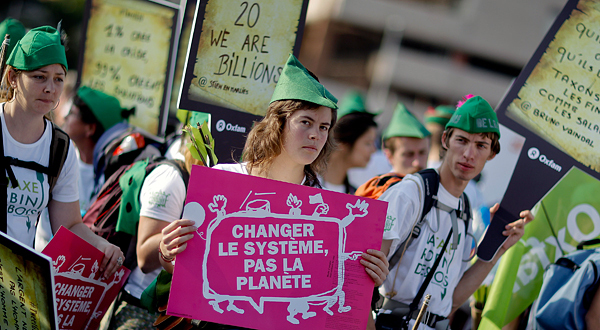 Members of the Occupy movement were already sporting bows and arrows, along with green and brown Robin Hood outfits (I used to have one, but would never wear the tights – part of my repressed British childhood, I guess) at the G20 Nations summit last month. Frederic Nebinger/Getty Images -Demonstrators in Nice, France, last month urged the leaders of the Group of 20 nations to do more to help the poor. At the summit, Bill Gates, who as we know is quite well off actually presented a plan similar to the goals of the Robin Hood movement, including a modest tax on trades of financial instruments that could generate $48 billion or more annually from the G-20 countries. I want to take this moment and, with the greatest respect, doff my green cap and feather to Mr. Gates. He is a member of the 1% who really cares. Charles Dharapak/Associated Press – Bill Gates talked with Nicolas Sarkozy about a tax on trades of financial instruments. His proposal garnered support from Ms. Merkel and France’s president, Nicolas Sarkozy, There are, of course, those who oppose the tax initiative, not surprisingly from the rich and their minions in the seats of power of the UK and USA. Britain’s prime minister, David Cameron, expressed serious reservations, saying “Britain would embrace it only if it were adopted globally.” This stems from a fear that if England was to adopt such a tax, investors would simply take their business from the London Stock Exchange and head elsewhere to countries who have not adopted this tax initiative. This sentiment is supported here in the US by the Obama administration who fear that unless it is global, driving trading overseas would hurt pension funds and individual investors as well as financial institutions. More on this on Friday.